What I have found is that the subject of taxes can be very intimidating to many. Some people find it difficult to understand even the very basics about their tax situation, while others are given bad information by so-called experts! It is my hope that you find this guide useful to both learn the basics about taxes (or at least what pertains to you), and sort out all of the misinformation that you have heard over the years! If you have any questions, be sure use the search function on this website (upper right-hand section of the site) to find exactly what you are looking for. IRS website – This is the first place to go when you need tax help. Many of the articles/publications are written in layman’s terms. The Motley Fool Tax Guide – Contains advice for many topics related to taxes; from preparing a return to how various life decisions will ultimately effect your situation. Also in layman’s terms with a forum full of helpful experts. Don’t Mess with Taxes Blog – Blog written by expert and journalist, Kay Bell. Her site is comprehensive and her writing is very detailed, yet very clear. Free Spreadsheet to Track Business Expenses for Schedule C – Paul Williams at Provident Planning, a Financial Planner and Tax Preparer operating out of PA, has provided this wonderful resource! W-2 Instructions – Guidance on how to read and understand your Form W-2. I will be adding to this list often, if you have a blog or site to recommend please click here to contact me. Flexible Spending Account Deadlines: Use it or Lose it! 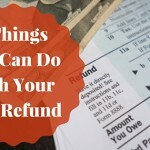 5 Things You Can Still Do To Increase Your Tax Refund! 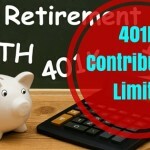 IRS Gives Non-Profits Until October 15th to Protect Their Tax-Exempt Status! Do You Owe Taxes If the Bank Forgives Part of Your Mortgage? 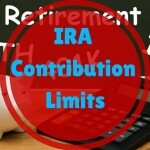 What Income Does the IRS Consider to be Taxable?